Am sure we all know that there are two sides to a coin and am here to share with you that side no one talks about. Being an entrepreneur I have ventured into a lot of business. Some were good while it lasted and others... No so good but in all I haven't given up trying, neither do I plan to. Most people will agree with me that Business with all the different sides to it, is still the most empowering occupation there is. We have different types of business and different stages In Business. Whether yours is small scale, medium or large enterprise it's all business. Though here we are going to be focusing on small scale businesses. If you are still wondering about which business to start either as a student, civil servant who wants to earn some extra cash on the side or a stay at home mom stay glued to this blog as we are going to be unveiling different businesses you can start by the year 2019. But first you need to LOOK BEFORE YOU LEAP. Today we will be starting with one of the businesses that has gone viral in Nigeria over the past year. IMPORTATION BUSINESS. As we all know importation business has been made easy with the recent improvement in technology. You can actually source for products from websites around the globe from the comfort of your home, order and have them shipped to your destination. Now bear in mind that this improved technology also comes with certain risk. Not all websites ship outside their country. 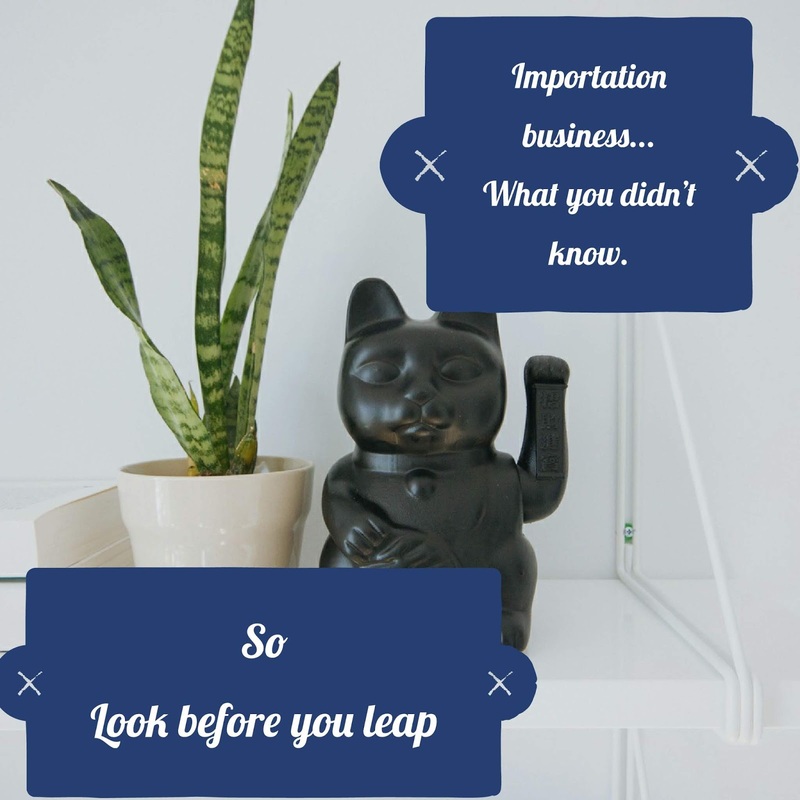 For instance in China most manufacturing companies or distributors do not ship outside of China so the only way you can buy from this companies is through third parties. You source for products on selected websites, send the links of your choice products to the third party which are mostly logistic companies, they check if the said products are available and get back to you with their prices, you make payment using their bank account details here in Nigeria. They make purchases and then have them shipped to you. This can take about 3-6weeks to arrived your destination. When the goods arrive in Lagos, it's weighed and the logistic company contacts you with the cost of shipping and clearing which you would have to pay before collecting your goods or you may be asked to pay some extra fees to have it way billed to your destination if you are outside of Lagos. This method has some downside to it from personal experience and am going to be listing it below. You have no way of verifying the quality of the product since there is no one on one interaction between you and the producer or distributor. The job of the third party is to assist you in buying and shipping. No refund of cash after payment. There is no safe method for payment here so whether you changed your mind after payment or the goods were delayed past the expected time, whether the goods are of low quality or the goods never arrived... Your money is lost. There is no one to be held responsible. No way of tracking your goods. These third parties are so unresponsive. Once your goods is shipped that's it. They don't respond to your questions anymore. You are basically on your own. You just have to wait until you get a call from their nigerian agents. Bad for business right? Yeah this is the reality. The cost of shipping affects the prices of your goods here in Nigeria. Oh yes... It's possible to buy most products from the manufacturers at a relatively low cost but by the time it gets to you the cost of shipping must shot up up the product 3-4 times it's initial cost. For instance... Let's say you buy a slippers for less than N1000, and you bought about 10 pieces, by the time it gets to your destination each one of those slippers will be costing you about N3000-N3500 and the quality may be too low which will affect your sales. Now there are other safer methods of buying directly from China. I will be sharing these method with you in my next business post which will be next Monday. So until then... Remember to look before you leap. Have you tried importing from China, please share your experience in the comment box.